Hurricane Michael: What impacts will it have on our red tide? 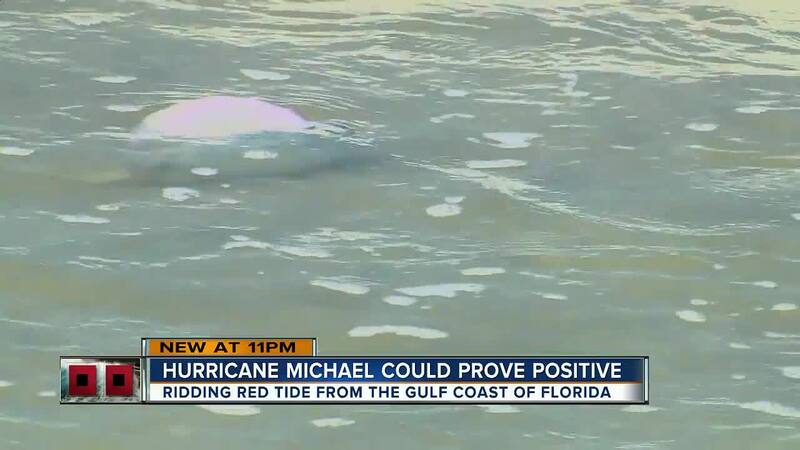 The million dollar question a lot of people are asking: Will Hurricane Michael break apart Florida's red tide? TAMPA BAY — The million dollar question a lot of people are asking: Will Hurricane Michael, churning in the Gulf of Mexico be able to break apart Florida's red tide? There is no simple answer. But, scientists with the National Oceanic Atmospheric Administration tell us there could be some positive impacts from the storm. "Past hurricanes have not broken up red tides," Wayne Litaker with NOAA said. But, Hurricane Katrina did have a positive impact on the severity of the red tide. "Katrina helped reduce the hypoxic zone in the Gulf of Mexico but did not significantly affect the severe ongoing red tide," Litaker said. Hurricane Michael is expected to cause significant storm surge from Anna Maria Island to the Panhandle. The Florida Fish and Wildlife Conservation Commission is also monitoring the impacts of Hurricane Michael. 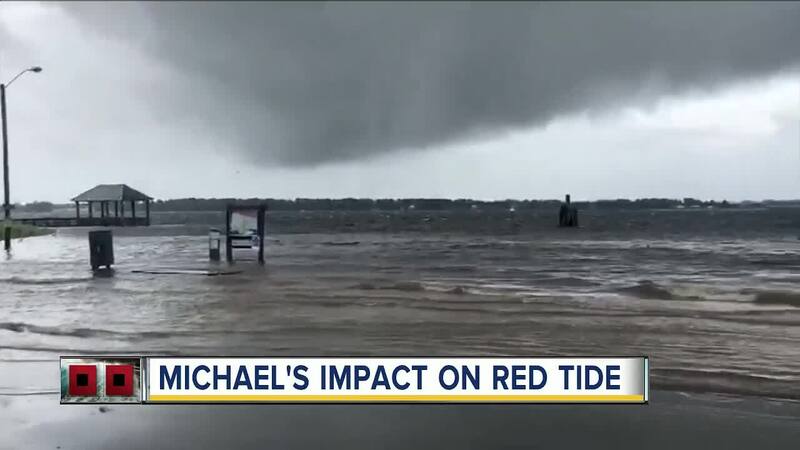 "At this time, we don't know what the impacts of Hurricane Michael will be on red tide, but we are working with partners and staff to continue tracking the bloom so that we can better assess this situation," Spokesperson Kelly Richmond said. NOAA researchers said no past hurricanes have ever broken up red tide blooms. But, the system could pull the bloom farther north. There is also the possibility that it brings more nutrients to the surface helping fuel the red tide — something nobody wants to see happen. "NOAA will continue to closely monitor the effects of Hurricane Michael from satellite as we have been doing all season to double check on what is happening as a result of the hurricane's passage," Litaker said.